Kick your bad habits. Nothing wastes your money faster than smoking a pack of cigarettes a day or going to the bar every night. Kicking just one bad habit could save you hundreds of dollars a month, totaling thousands of dollars a year. Cancel your gym membership. If you barely used your gym membership in the past year, there’s no reason to think you’ll use it any more frequently the next year. Save yourself $50 a month and buy a used bicycle or go for a walk instead. If you want to take your workouts up a notch, look for free workout videos online. Create a budget. The best way to control your spending is to get an idea how much you really spend each month. Track your spending for a whole month (or two) then take a look to see where your money is going. From there, set a monthly goal for different categories or simply rely on the hope that being more aware of your spending habits might help you make smarter choices. Change your diet. Many people mistakenly believe that eating healthy is expensive when, in fact, the opposite is true. It isn’t the apple a day that destroys your bank account, it’s ordering takeout three times a week and loading your freezer with microwavable meals. Cut your spending by buying real food and learn how to cook it. Review your insurance policies. 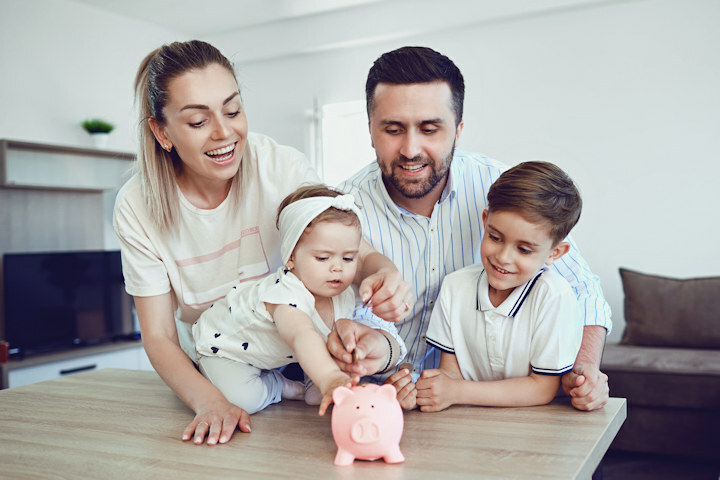 For many people, insurance policies are a backup plan that is easily forgotten – especially when you switch to automatic billing. It pays, however, to review your policies once a year to see if your needs have changed or if you might qualify for new discounts. Set some savings goals. If you have a hard time controlling your spending, it might help to set specific goals or to start saving toward something. Choose how much you want to put away on a weekly or monthly basis and then stick to it for the entire year. Start leaving your credit card at home. Having a credit or debit card is a great convenience, but for many people it makes it too easy to overspend. If you’re having trouble controlling your habits on non-essentials, set a dollar limit for yourself each month and take out that money in cash. Once the cash is gone for the month, you’ll have to stop spending until next month. Switch to energy efficient options. Leaving your living room light on overnight might not cost you much in the short-term, but small inefficient habits like leaving the lights on, keeping unused appliances plugged in, and using old appliances can really eat away at your bank account. Consider making energy-efficient switches in the new year such as switching to LED lights and other simple changes. If you really want to improve your financial situation in the new year, choose a spending resolution you can stick to and then really commit. Your New Year’s resolution is only as valuable as the amount of effort you put into it, so take your time when making your decision!